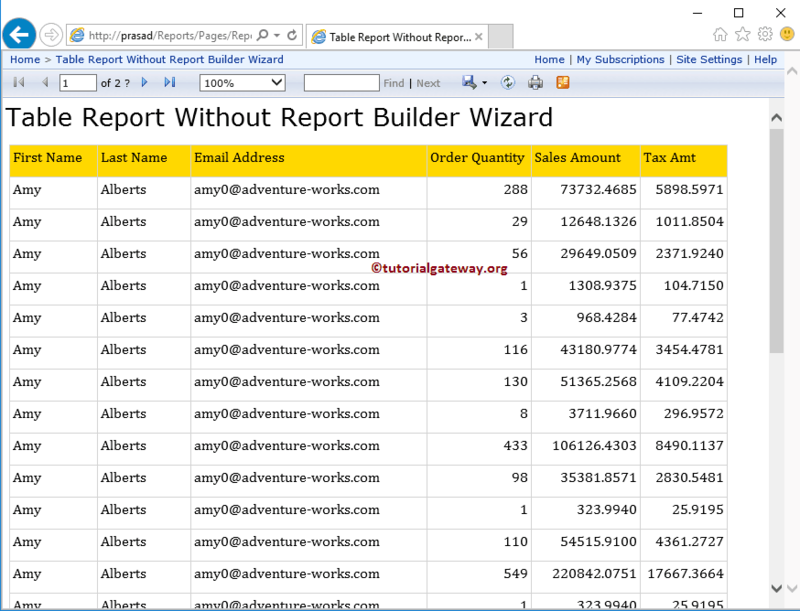 In this article, we will show you, How to create New Report in SSRS Report Builder without using Wizard. 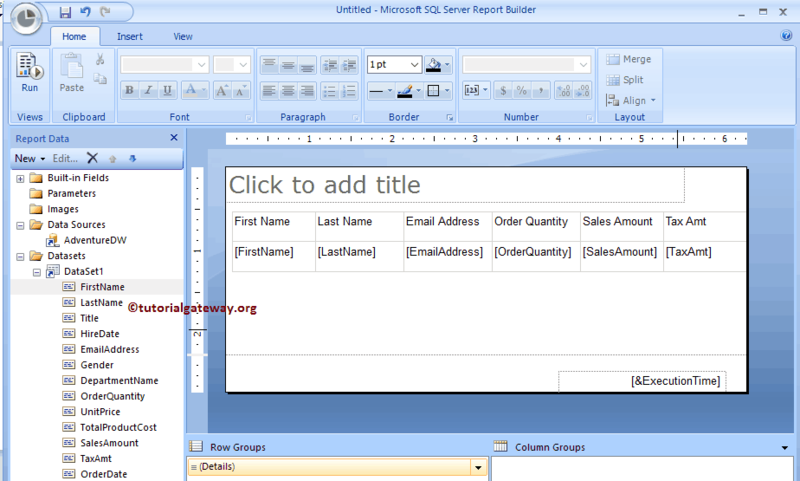 Or we can say, steps involved in creating New Table, or Matrix report using SSRS Report Builder. 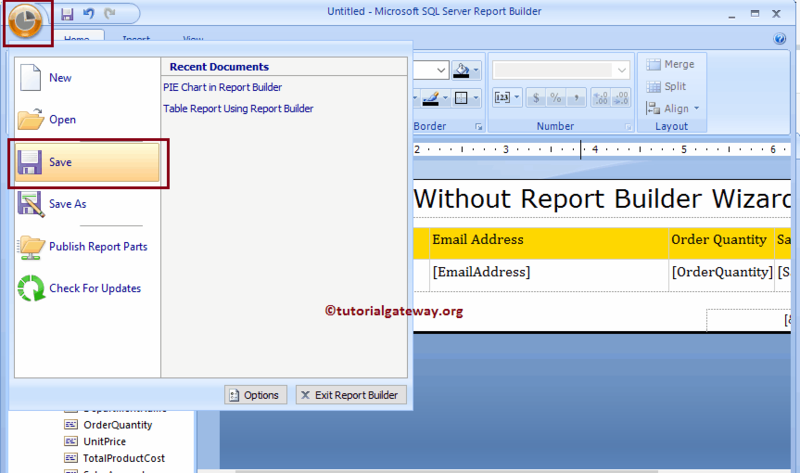 For this SSRS report builder table report, we are going to use the Shared Data Source and the Shared Dataset that we created in our Early reports. 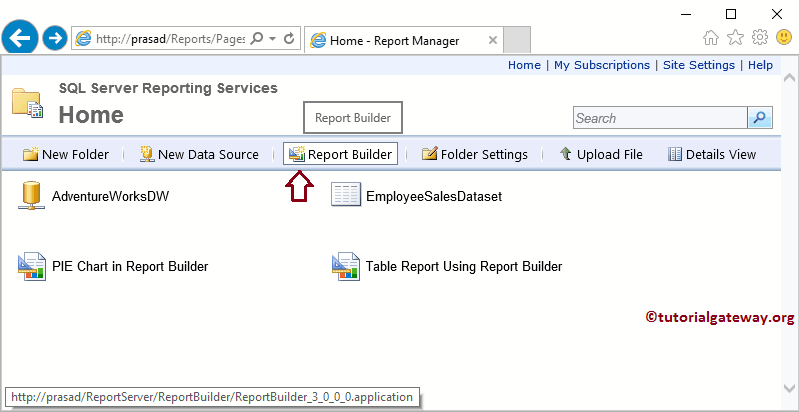 After you select the Blank Report option, ssrs report builder will display the Blank Report. We already explained about the Panes in our previous article so please refer Create a New Report article to understand the same. 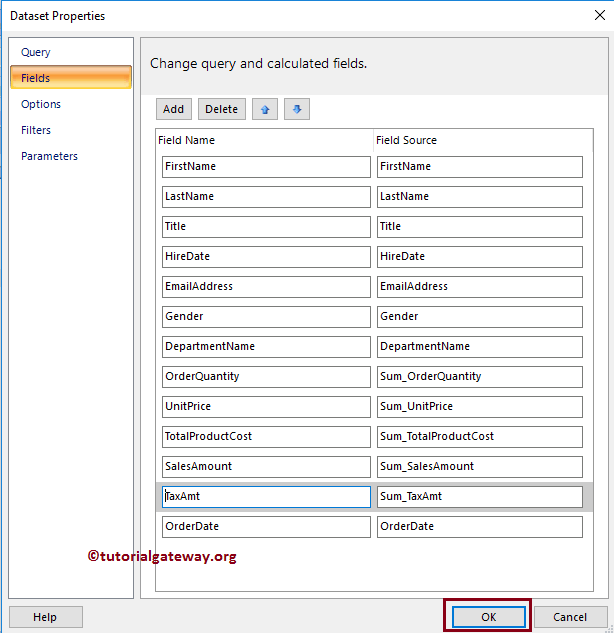 Once you click on that option, it will open Data Source Properties window to configure the Data Source. In this example, we are selecting the Shared data Source that we created earlier. 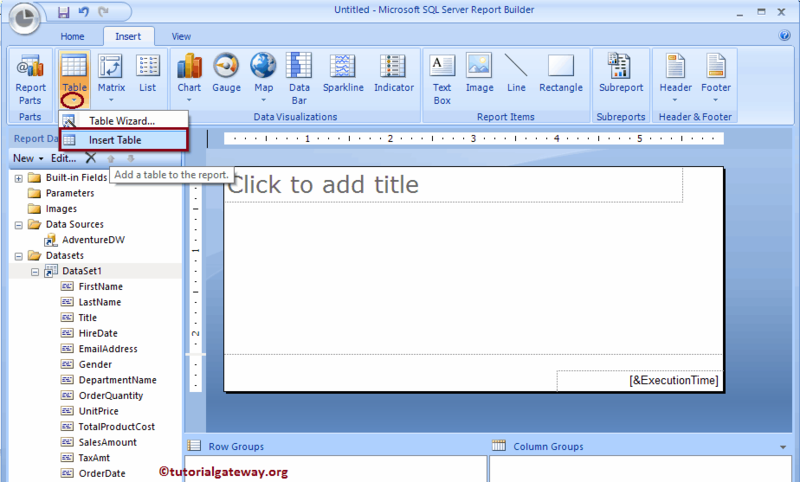 Please refer to Create Shared Data Source in Report Manager to understand the steps involved in creating Data Source. This will open a New window called Dataset properties. Here you can select the first option to select the Shared Dataset that we created earlier, or by selecting the second option we can create a new dataset also. For now, we are selecting the first option. 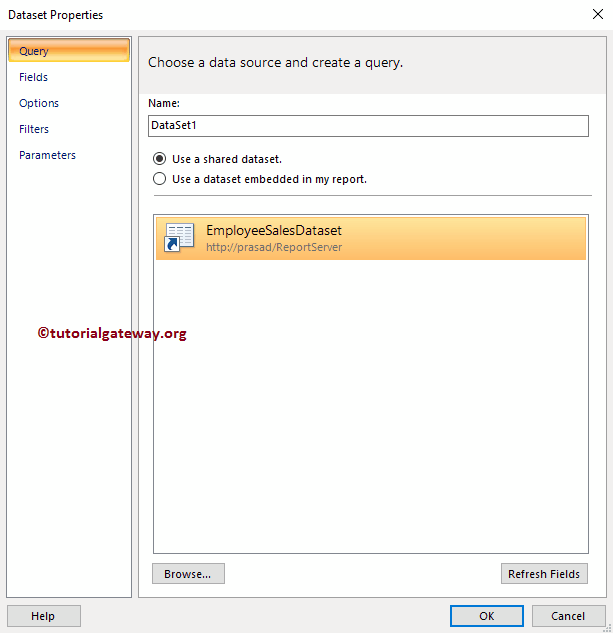 I suggest you refer the Create a New dataset in Report Builder article to understand the steps involved in creating the shared dataset. 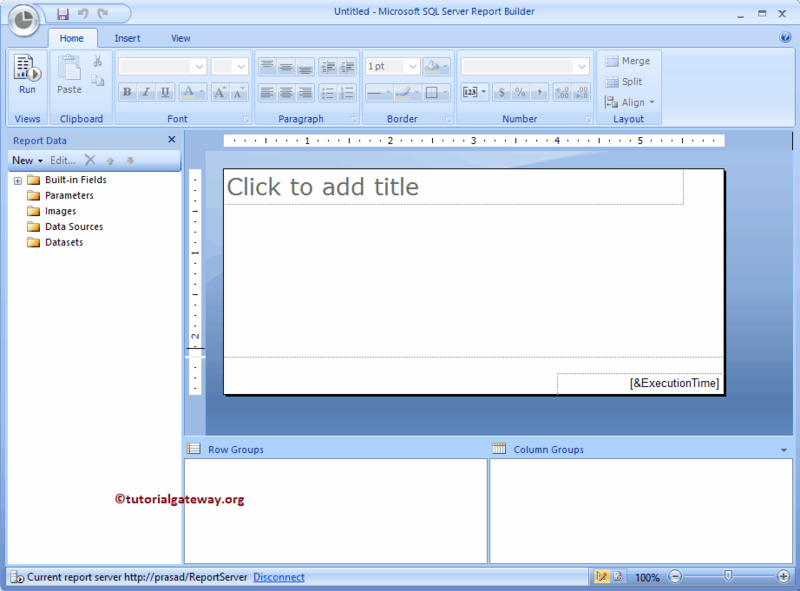 Within the SSRS Report Builder, please select the Insert Tab to insert the table in to report designer. 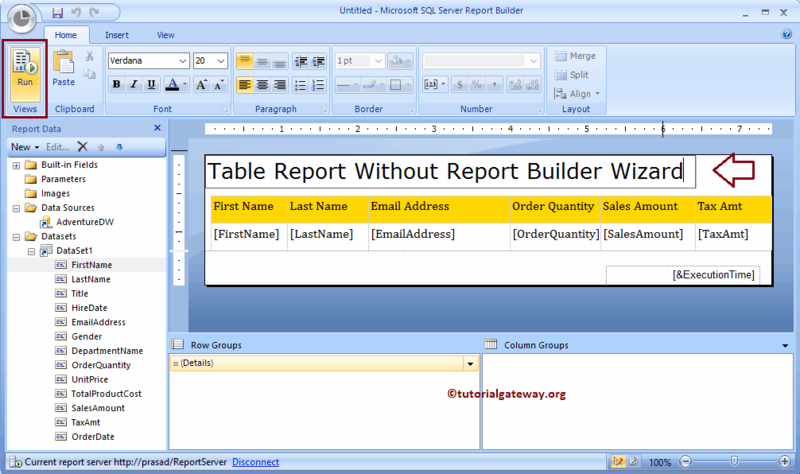 Please click on the down arrow below the table button, and select the Insert table option from the Menu to add the table to the report region. 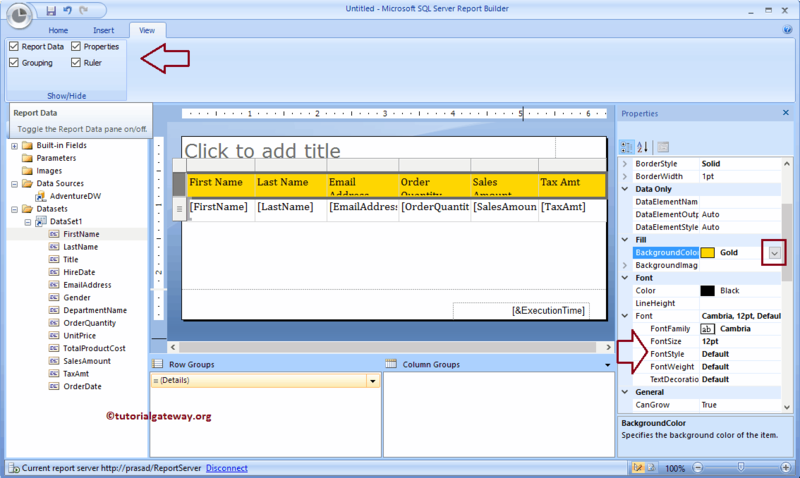 Drag and drop a table to the Data region. Next, add the Columns to the Table. 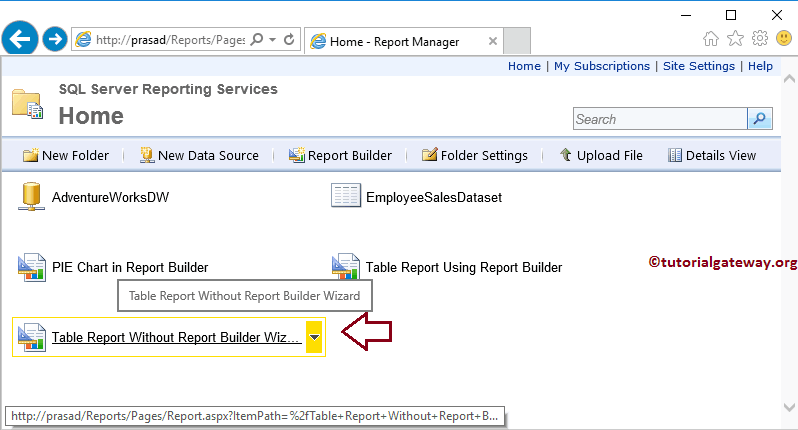 We already explained the steps involved in adding the Columns to the table fields in Create New Table Report so please refer the same. 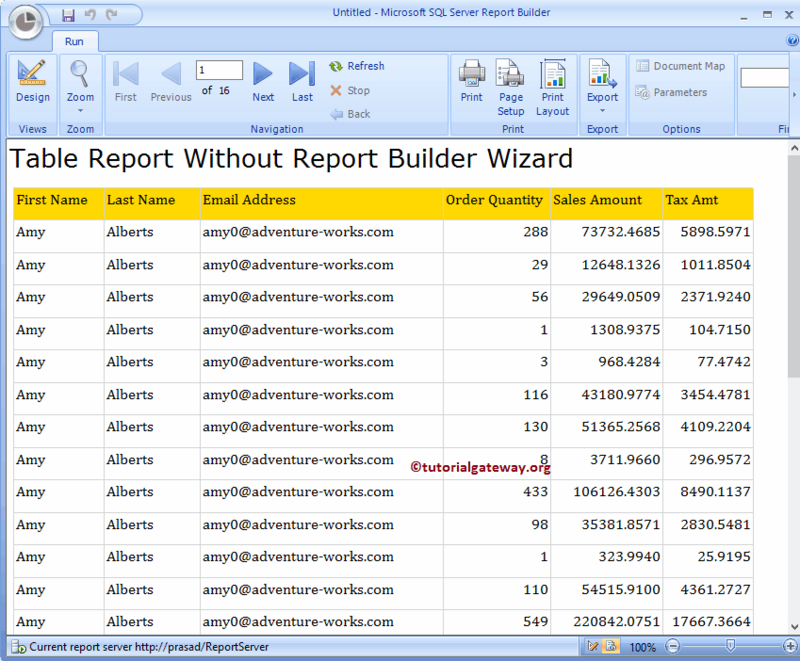 The following screenshot will show you the Columns that we added to the Table report. 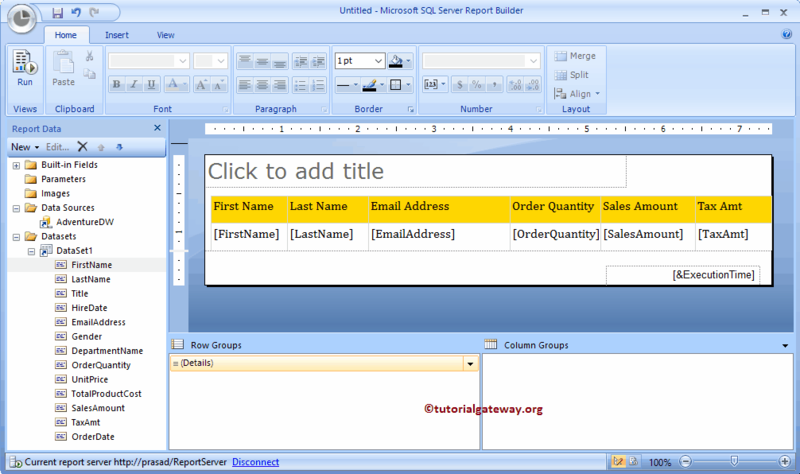 Let me format the table report to change the overall look. 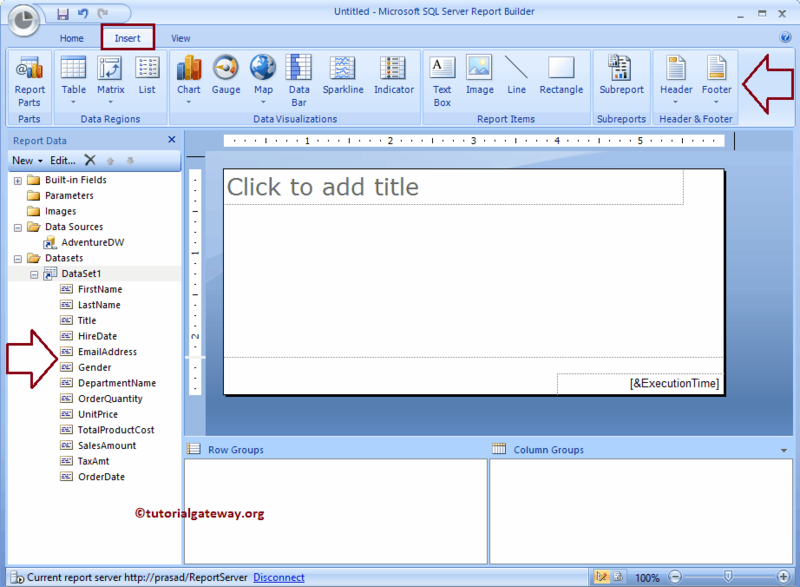 I suggest you to refer Format Table Report to understand the list of available formatting options. Please check the formatted final table report. Please adjust the width and height of all the Columns in a table. Once you click the Run button, the following report will be generated. From the below screenshot you can see that the report is showing the Formatted Table report with the given fields. 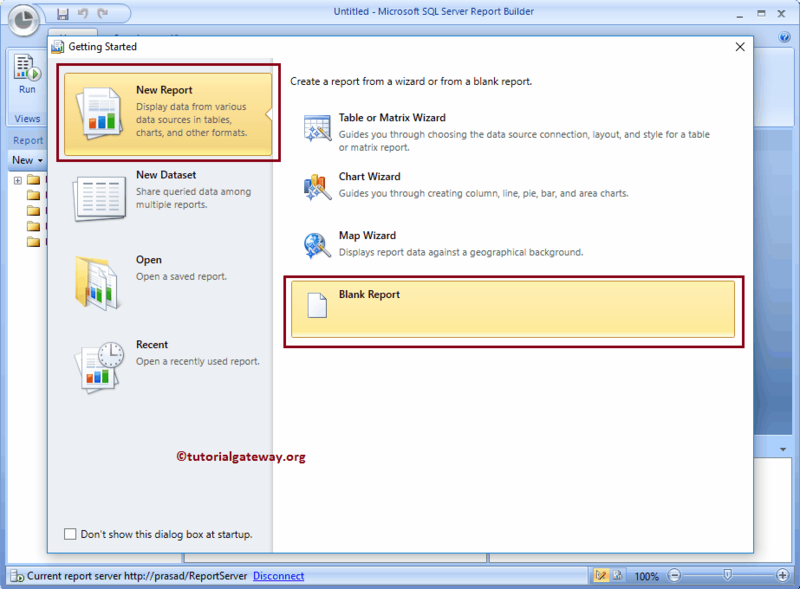 Let me click on the Save button to save the report in the report server. 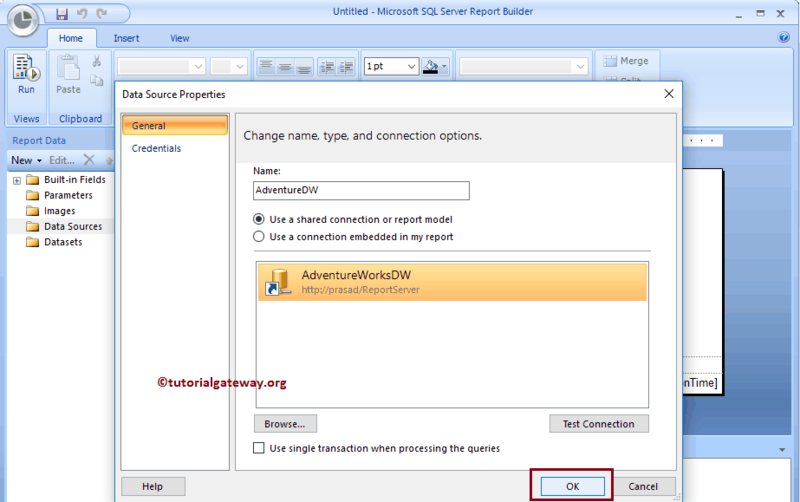 Let me open my SSRS Report Server to show the newly created Table Report. 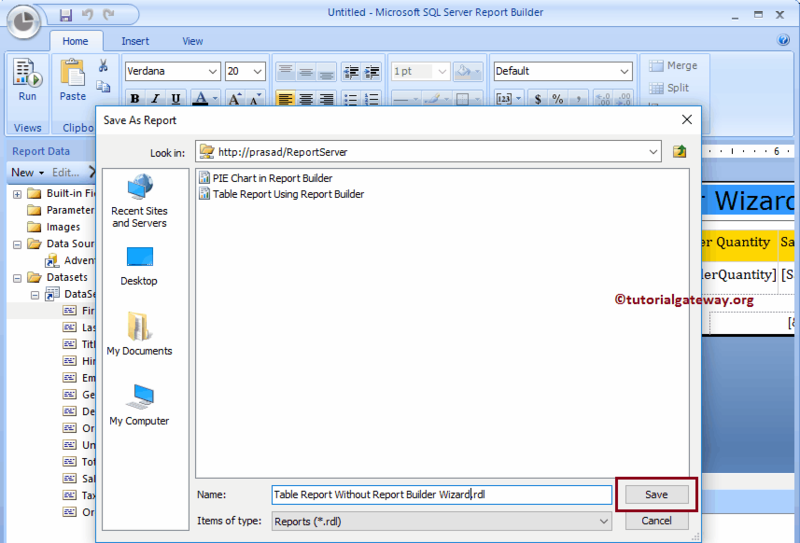 Here, If you want to see the report preview, or Run the report, then you don’t have to access the Report Builder or BIDS.